In case you haven’t noticed, coming up with engaging content isn’t easy. In fact, 3 out of 5 B2B marketers today say it’s the number one challenge they face. That’s why it’s important to follow a clear content creation workflow, since having one paves the path toward producing quality content at scale. But processes can only take you so far. You also need to choose and use the right tools for the job. First off, though, let’s make one thing very clear. To get the most out of your content creation workflow, it has to be tied to a good content marketing calendar. A content calendar translates your content marketing goals into specific activities and timelines. It improves how well you plan and manage your content marketing program’s overall direction. So, if you haven’t put one together already, we’ve got you covered. We’ve included a downloadable content calendar template with this post to help you plan for a year’s worth of content marketing activities. Knowing your content’s target audience in advance saves time and resources later on in the content creation process. You need to define the different content marketing personas you want to target before anything else, so that you know which content topics and ideas to prioritize and which ones to avoid altogether. MakeMyPersona is HubSpot’s handy online tool for quickly building custom buyer personas that you can then use to segment your content marketing audience. The tool asks you a series of questions about your ideal customer and generates a buyer persona based on your answers. It’s a good starting point for refining your content audience. Plus, it’s free. This free tool from Inflow helps you identify gaps in your content marketing program. It points to stages in the buying cycle that you haven’t yet covered in any of the content you’ve published. The Persona Topic Matrix complements the research you did with HubSpot’s MakeMyPersona tool, so that you can precisely map content ideas to audience segments and stages in the purchase cycle. Now that you’ve defined your audience personas and mapped the stages in your sales cycle, it’s much easier to brainstorm relevant ideas and topics. The following tools help you quickly narrow down topics that are most likely going to resonate with your target audience. MOZ’s Keyword Explorer is a staple in any content marketer’s toolkit. It allows you to quickly find the keywords your audience personas are searching for. With this tool, it becomes simpler and faster to uncover what topics your target audience is interested in. Plus, Keyword Explorer gives you insights to make your content easier to find for both people and search engines. The most engaging content pieces are those that answer actual questions. An online tool called Answer The Public helps you find common questions people are asking about a given keyword. This tool is a great resource for generating tons of engaging content ideas, especially if you also need to filter results by location. On most lists of content research tools, BuzzSumo almost always ranks in the top two or three–and for good reasons, too. BuzzSumo works well at finding actual content topics that appeal to audiences in an industry or niche, as well as for identifying potential influencers who can amplify your content’s reach. You can use BuzzSumo for both keyword-based and domain-based research in order to find the most shared content (and content format) on a keyword or a website. Google Trends reinforces the insights you gain from using tools like BuzzSumo. Google Trends’ focus on organic searches expands BuzzSumo’s social metrics-based results so that you get a complete picture on the level of interest a particular topic receives. Whether it’s a blog post, infographic, slide deck, video, or what have you, There are countless tools that help you churn out content. But combining the next three tools can give you almost everything you need to cook up compelling, publishable content pieces. By now, it’s common knowledge that 80% of readers never make it past the headline. tweet this! That’s why it really pays to invest time and effort at crafting engaging headlines and titles. CoSchedule’s Headline Analyzer is an indispensable tool for optimizing your content’s titles. It scores your headlines based on its overall quality and its potential for generating shares, traffic, and links. Technically, these are two different tools, but they complement each other so well that they’re best used together. Grammarly helps make your copy grammatically spotless. Hemmingway, on the other hand, makes your writing more readable and clear. Another well-established content marketing fact is that visual content (and content with images/graphics) produce better engagement and response metrics. That’s why Adobe Photoshop is a standard part of the modern marketer’s toolbox. But, for those unable to work with this paid platform, Pixlr is a viable free Photoshop alternative. Pixlr comes shipped with one-click photo/image editing options that replicate many of the things you can do with Photoshop. About 54.3% of all websites use Google Analytics. No other free web analytics platform comes close in terms of insights and features offered. In content marketing, Google Analytics is a handy tool for measuring your content’s impact on traffic, engagement (bounce rates and time on site), navigation, conversions, and ROI. Scoopt.it is both a content curation platform and analytics dashboard. It lets you deliver content through different channels such as social media and email. It allows you to keep track of content engagement metrics including visitors, views, shares, and comments. This helps you find out which content topics and formats to focus on. 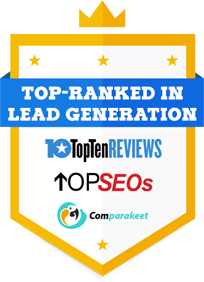 SEMRush remains one of the most trusted tools in the online marketing space today. While it’s primarily used as an all-in-one SEO tool, content marketers also use SEMRush to monitor content and reshape strategy. It allows you to keep track of links and mentions, find out how your content impacts your keyword and Google rankings, and measure how your content drives traffic volume. In other words, a content calendar helps ensure that your content creation workflow runs smoothly. That’s why we’re making an actionable content calendar template available for download. 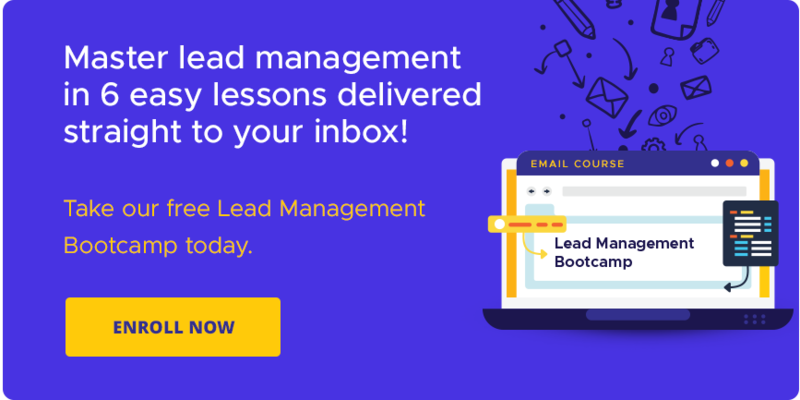 The template covers everything you need to turn your content marketing strategy into a concrete one-year plan, broken down into monthly, weekly, and daily schedules. It’s the perfect way to flesh out your content ideas for the rest of the year and start planning for the next. Create a solid content marketing calendar with our ready-to-use template. With just a few quick edits, you’ll have a fully-functioning one-year content calendar up and running. 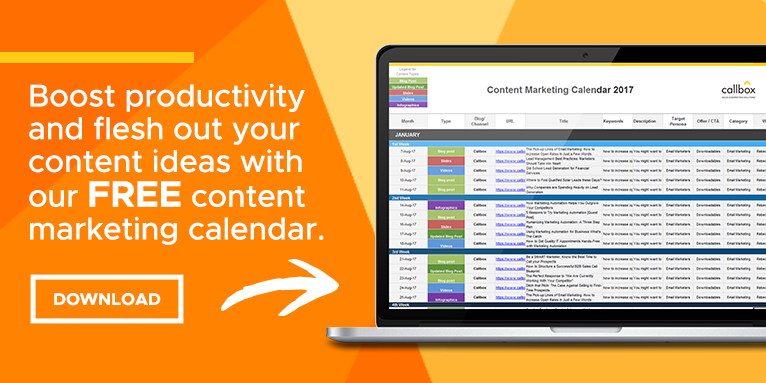 Grab a FREE copy of our Content Calendar Template [Free Download]!